Who cares about Microsoft's new Office file format? Microsoft is still trying to push its Open XML document format as a universal standard, much to Google’s chagrin. 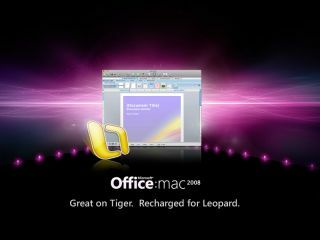 Open Office XML (OOXML) is used as the standard file save format for Office 2007 and Office 2008 for Mac. Last month Google once again called for Microsoft’s efforts to be merged with the Open Document Format (ODF) used by both Google Docs and OpenOffice. OOXML is currently passing through the various processes of the International Standards Organisation (ISO) again after being defeated last September. The general feeling is that it has now garnered enough votes to be universally adopted. 87 national standards bodies are involved, reports News.com. The story points to the Open Malaysia blog that suggests over two-thirds of the votes are for approval. However, one Polish source cites possible strong arm tactics have been involved. Microsoft is very keen to make the format internationally standard. The reason? Such a stamp of approval would mean governments and other large organisations could make it a serious option for long-term data storage. Such decisions are based upon the longevity of formats and the guarantee they will be supported decades from now. Last month we wrote how Google wasn’t so happy with Microsoft’s approach. A post on the official Google blog criticised OOXML.